For enthusiasts of Land Speed Record breaking, the title “Speed Ace” or “Speed King” conjures images of such archetypal heroes as Segrave, Campbell and Cobb, frantically sawing at the wheel of some aero-engined behemoth as it thunders down the beaches of Daytona or along the dazzling white salt flats of Bonneville. English gentlemen who would risk life or limb for King and Country and the prestige of Britain. But record-breaking often creates less likely heroes who would arguably qualify for the same distinguished mantle. 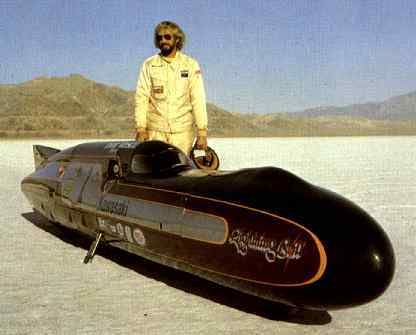 Don Vesco was one such person, who not only set an outright World Land Speed Record for motorcycles of 318.598mph (512.73kph), but also an outright World Land Speed Record for a wheel-driven vehicle of 458.440mph (737.787kph). Don Vesco.Record-breaking was only one part of a lifetime chasing speed. Record-breaking for Vesco though was only one part of a lifetime chasing speed. Don was born in Loma Linda Southern California on April the 8th 1939, in an environment that not surprisingly nurtured a “need for speed”. His father, John Vesco, ran hot-rods and streamliners out of his body shop on Southern California’s numerous dry lakebeds – a perfect setting for Don and his two younger brothers Rick and Chuck to gain an education in all things fast. Vesco was mechanically gifted as a child, and while still in his teens, modified a rigid framed Triumph 500cc T100R twin to enter his first official race, a local drag race meet at San Diego’s Paradise Mesa drag strip. What followed was that unique blend of American motorcycle racing, on bitumen, dirt track and TT steeplechase. One of Don’s old Hoover High School buddies and main rival on the track in those days was a future legend, Cal Rayborn. It was in the discipline of road racing that Vesco excelled and it soon became apparent that the Triumph was no match for the Manx Norton’s many of his rivals were racing. Thanks to a loan from his girlfriend Norma, who would become the first of his three wives, Don was able to purchase a Manx. The combination proved almost unbeatable in local road races at tracks like Willow Springs and Riverside in the late 1950’s and early 1960’s – at a time when Japanese manufacturer Honda was trying to take a foothold in the lucrative American motorcycle market. Don on the salt at Bonneville with his Manx Norton. Honda hired Vesco to race its highly successful RC161 four-cylinder four-stroke 250cc Grand Prix racer in American events to help promote the brand. 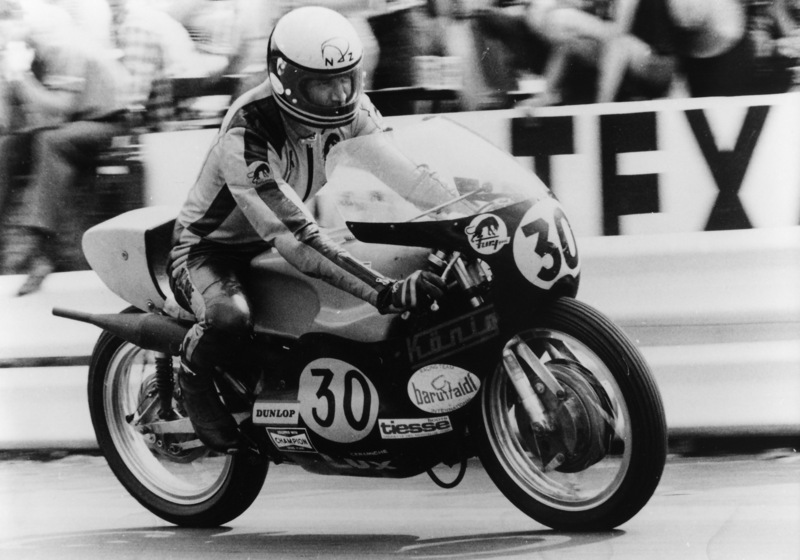 Don duly notched up two wins on the RC161 first time up at the Goleta Airport track in Santa Barbara but crashed the bike several months later at the same venue. 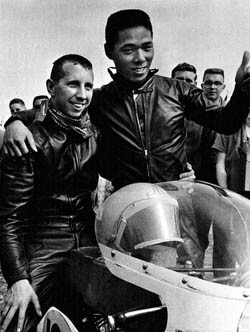 When a promised ride in the 1962 US Grand Prix at Daytona (an FIM sanctioned international event) was given to Japanese rider Kunimitsu Takahashi, it appeared that Don was out of favour. 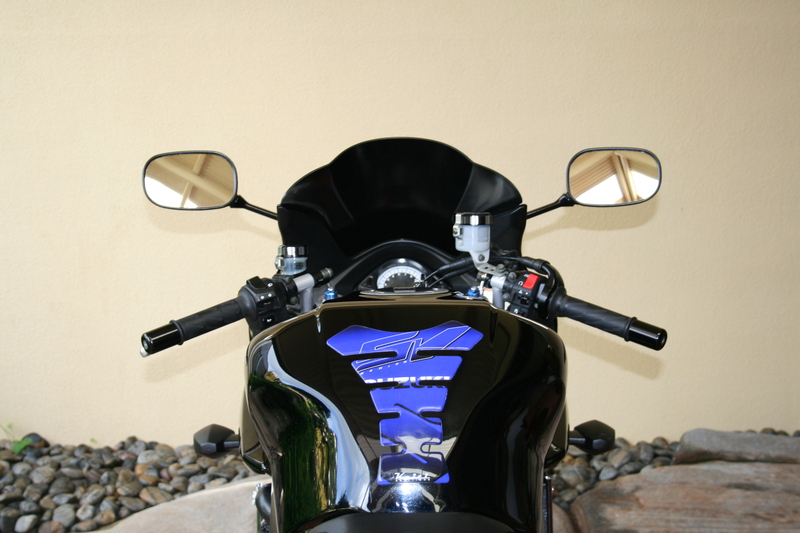 In a twist of fate another Japanese manufacturer, Yamaha was also trying to promote their motorcycles in America. Yamaha contacted Vesco to race its RD56 250cc two-stroke Grand Prix racer the following year in the open class at the same event. The race, however, wasn’t to be all smooth sailing. Vesco, suffered a fall in the Daytona infield, but remounted and went on to lap the entire field to win the 1963 US Grand Prix, giving the Japanese manufacturer their first major victory in America. 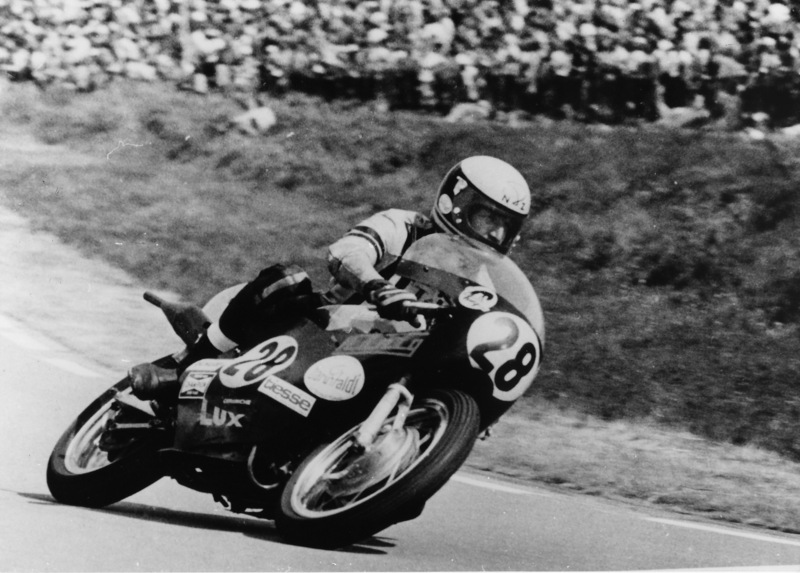 Vesco was to ride again for Yamaha at Daytona in 1964, and this time the Grand Prix was a fully sanctioned round of the FIM 250cc World Championship. Unfortunately, a nasty fall in practice resulted in a broken collarbone for Vesco, and the GP racer was handed to up and coming English rider, and future World Champion, Phil Read. The bad luck continued for Yamaha and the bike seized during the race. 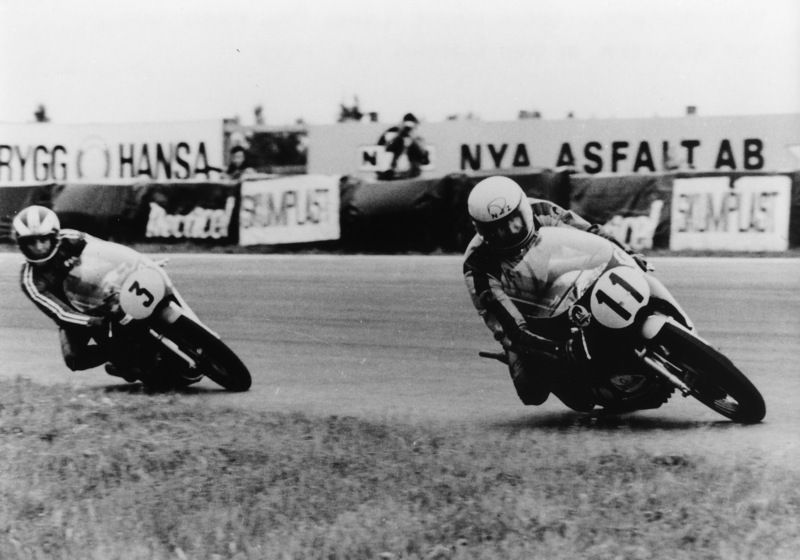 Don aboard the Open Class winning Yamaha RD56 at Daytona 1963 with Japanese rider Fumio Ito. Yamaha was now offering Don a dealership, which initially he declined, but reconsidered when his employer complained he had too much time off through racing accidents. He opened shop in El Cajon California in 1966. 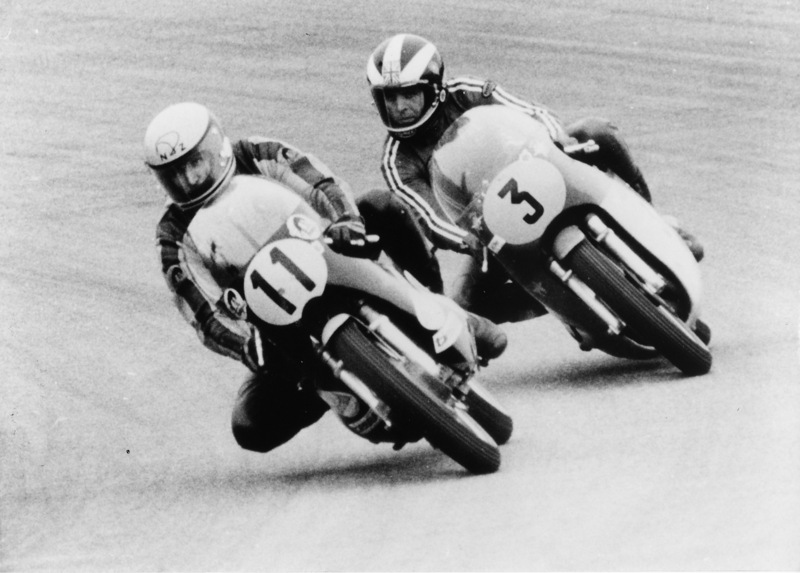 By the early 70’s Vesco had two of the world’s best racers riding out of his dealership, former world 250cc Grand Prix champion, Australian Kel Carruthers (who had come to live and race in the U.S. at Don’s invitation), and his old racing buddy and rival Cal Rayborn. By the late 70’s other such greats as Gene Romero, Dave Aldana, Ron Pierce and Yvon du Hamel had all ridden under the Team Vesco Yamaha banner. 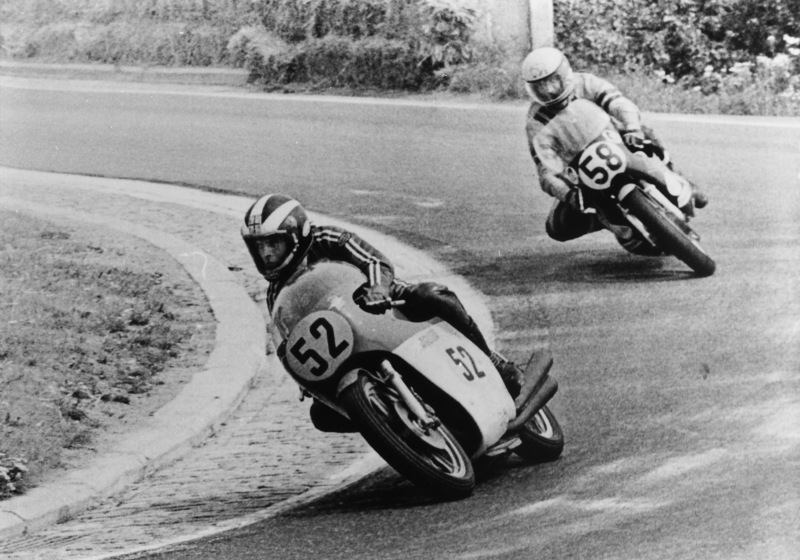 Don had by now shelved his own racing ambitions to concentrate on the dealership with the satisfaction of having been a factory rider for a number of manufacturers including Honda, Yamaha, Bridgestone and BSA. 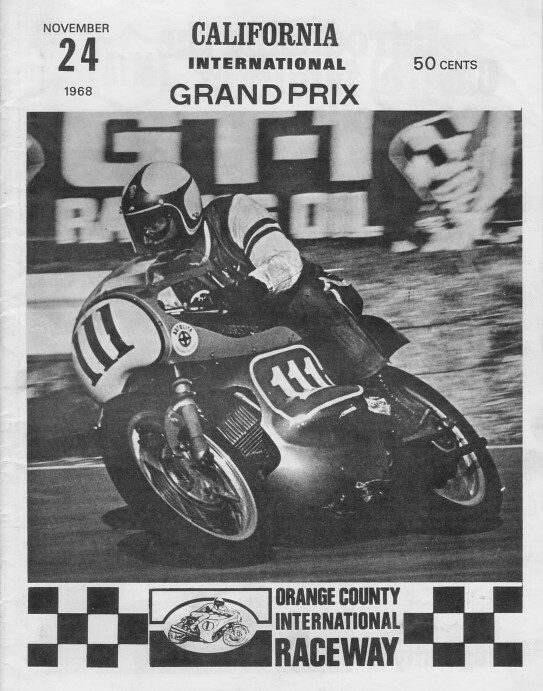 Don on the cover of the Orange County Raceway program riding a 250cc Bridgestone GP racer. It was during this period that Vesco began his highly successful motorcycle land speed record runs at Bonneville Salt Flats. Don was no stranger to the salt having first run a motorcycle at Bonneville at the age of 16, and in 1963 joined the exclusive 200mph (321.87kph) club, driving his fathers Offenhauser powered four-wheeled streamliner #444 to 221mph (355.67kph). However, it was the outright Motorcycle Land Speed records that Vesco became synonymous with. 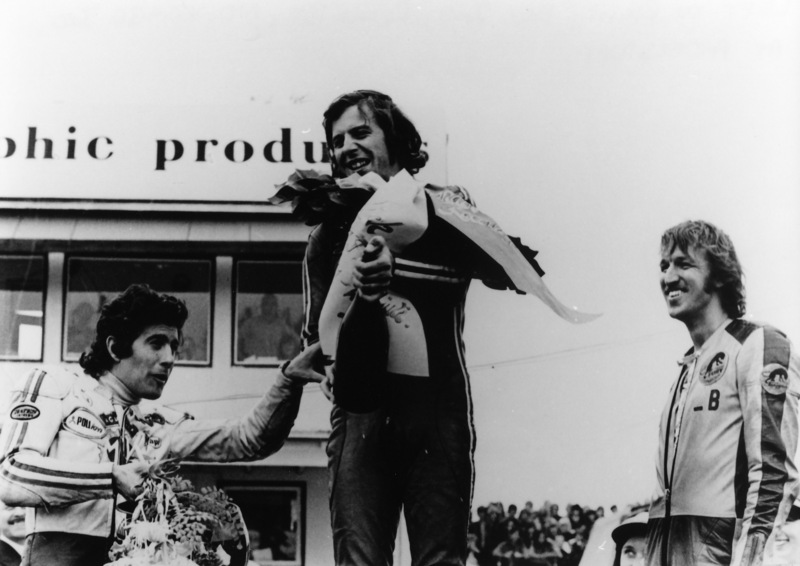 The first was in September 1970 using a twin-engine streamliner fitted with Yamaha R3 air-cooled 350cc two-stroke engines to set a new world record of 251.924mph (405.43kph), becoming the first man to break the 250mph barrier. It was short lived though, as less than a month later Harley-Davidson broke his record with Cal Rayborn at the controls. Vesco knew of his friend’s record attempt and made sure he received his contingency money from Yamaha and his other sponsors quick smart! Vesco and Big Red the first motorcycle to achieve over 250mph. 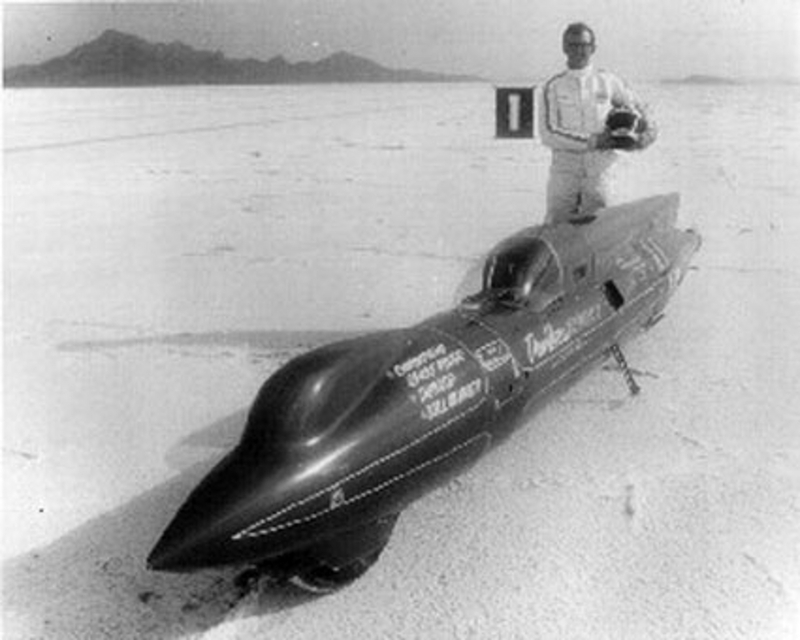 Five years later Don returned to the salt and was the first to crack the 300mph barrier and set a new record in the Silver Bird Yamaha, (a stretched version of his old streamliner Big Red, fitted initially with two TZ700cc two-stroke Yamaha racing engines), leaving the mark at 302.928mph (487.53kph). 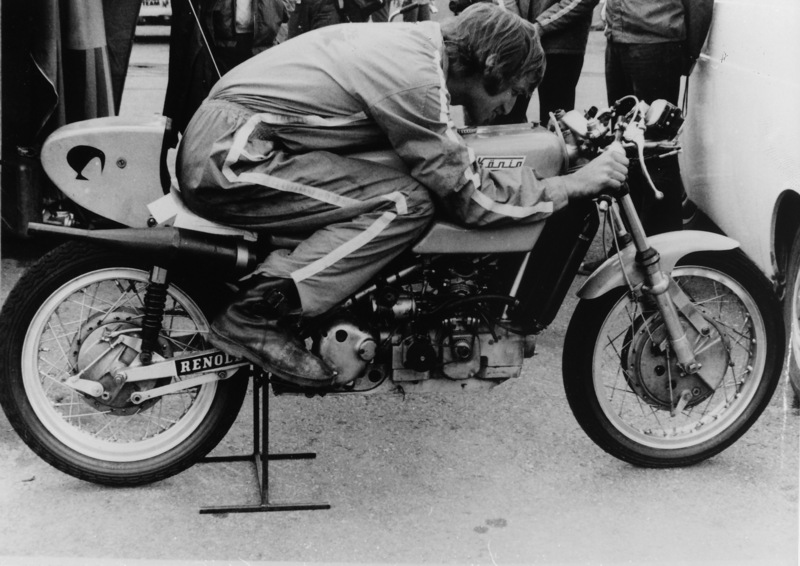 This was not enough for Vesco, and in August 1978 he established a new outright world record of 318.598mph (512.73kph) with Lightning Bolt using two modified 1015cc turbocharged Kawasaki KZ900 engines. Remarkably this outright world record stood for 12 years. But it was only two months later that success turned to failure when Don took Lightning Bolt to El Mirage dry lake and crashed. Vesco escaped without injury, but much of the streamliner’s bodywork was damaged. By 1980 Don had finished work on a new streamliner using two turbocharged 1300c six cylinder Kawasaki engines, although success eluded his latest creation. 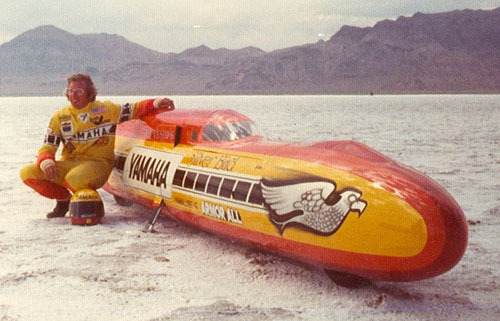 Don with the Silver Bird Yamaha streamliner after setting a new world record of 302.98mph. Vesco now started to eye the record for wheel-driven automobiles and in 1982 returned to Bonneville with a unique machine called Sky Tracker. Built along the lines of Don’s motorcycle streamliners, Sky Tracker used the driver’s compartment from Lightning Bolt and sported five wheels, two next to each other at the rear, one on each side and enclosed in the middle of the bodywork, and one at the front. Rain, in both 1982 and 1983, thwarted attempts with Sky Tracker at Bonneville, although a speed of 235mph (378kph) was achieved in 1984 using a turbocharged Drake-Offenhauser engine before the meet was rained out again. 1985 saw Vesco qualify Sky Tracker for the World Finals record runs with a pass of 318mph, (512kph) his unusual creation starting to show its potential. Like anybody involved in the pursuit of speed, Vesco was well aware of the dangers, but a blown rear tyre at 350mph (563kph) underlined that point in no small way. Sky Tracker crashed end over end five times utterly destroying the car. Don came away with damaged vertebrae, concussion and a broken bone in his hand and right foot. Don Vesco with the Kawasaki Lightning Bolt. His record stood for 12 years. Finding enough money to continue chasing the record was not unfamiliar territory for Don and his brother Rick who was also working on a parallel project. It made sense to join forces to complete a new twin-engine car, although it was not until 1991 with a pair of turbocharged 160 cubic inch Drake-Offenhauser power units that it started to show promise with a run of 372mph (598kph). Expensive engine failures were now becoming a problem, and it was apparent to the brothers that piston engine power was reaching its upper limits. A different power source was needed if they were to break Al Teague’s wheel-driven record of 409.97mph (659.78kph). A gas turbine was seen as the best solution, and a compact helicopter unit could be found comparatively cheaply in the form of an Avco Lycoming T55-L-11A SA. The streamliner now became known as the Turbinator with its engine producing 3,750hp at 16,000rpm, driving all four wheels through a gearbox bolted to the front with a reduction ratio on the shaft of 2:1. The first development runs took place in 1996 at Bonneville, and over the next four years, Don and Team Vesco set three national records at the World Finals in excess of 400mph (643.74kph), culminating a one-way run of 427mph (687.19kph) in 2000. The world record slipped through their grasp that day when a gearbox failure with Turbinator prevented the team turning the car around for the return run within the one hour stipulated by FIA regulations. Team Vesco returned to Bonneville once again in 2001 for the World Finals, with 500mph squarely in their sights. The team were buoyed by the fact that in a one-way “shakedown” run Turbinator reached 470.28mph (756.84kph) and was still accelerating out of the measured mile. The record runs however produced a real problem. Don was unable to hold open the throttle as the engine temperature at the burners kept creeping up dramatically and could have caused the engine to self-destruct. Vesco had to modulate the throttle 16 times to contain the temperature but still hit over 458.mph (737.08kph) on the first run. The problem was the reduction gearbox, bolted to the shaft on the front of the engine, prevented enough cooling air to flow into the turbine. The return run was going to be challenging, and again Vesco was required to modulate the throttle 18 times to contain engine temperature. Worse was yet to come as the rear left tyre blew inside the measured mile. It took all of Don’s skill and experience to keep the Turbinator on track and slow it down, stopping a mere 15 feet inside the black line. Team Vesco had done the job; the return run had equalled the first to give a two-way average of 458.44mph (737.79kph). Don and the team were happy to have beaten Al Teague’s 1991 wheel driven record of 409.986mph (659.81kph) in Spirit of ‘76. But more delighted to have broken the record for a gas turbine automobile of 403.10mph (648.73kph) set 37 years earlier in 1964 by Donald Campbell at Lake Eyre in South Australia driving CN7 Bluebird. Don and Team Vesco break the wheel-driven Land Speed Record 2001. 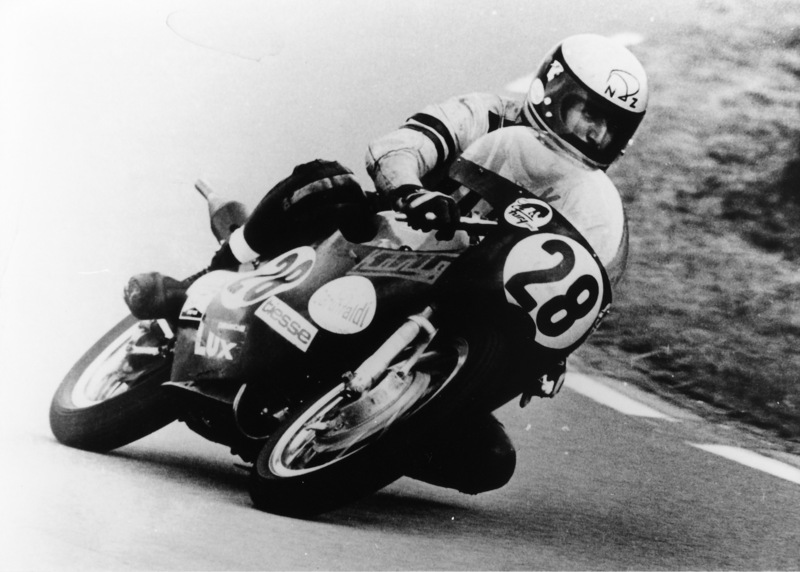 In 1999 the American Motorcyclist Association had honoured Vesco’s achievements and inducted him into their Hall of Fame. Don turned 60 that year. 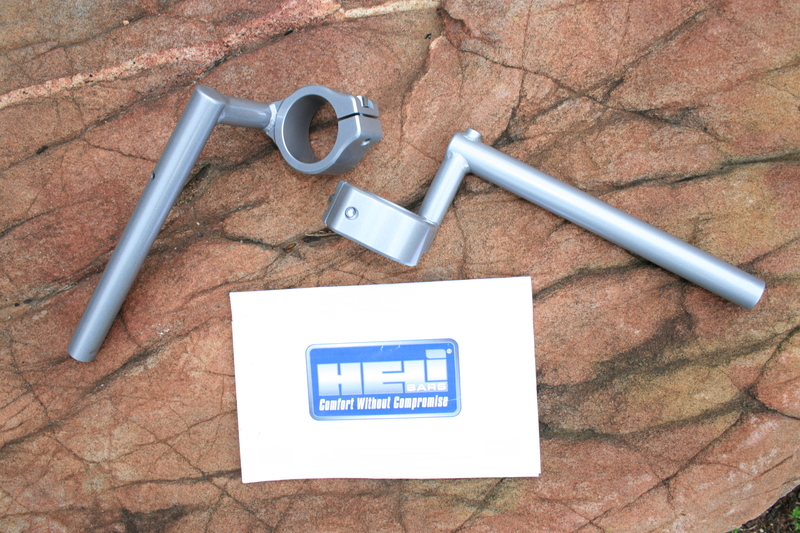 If there is one thing, that old motorcycle racers know from experience, crashing and riding injured come with the territory. Vesco had suffered his share, but in 1995 while spectating at a sprint car meeting at the Manzanita Speedway in Phoenix Arizona, Don was struck in the left eye and permanently blinded by a piece of debris thrown up by the rear tyre of a sprint car. 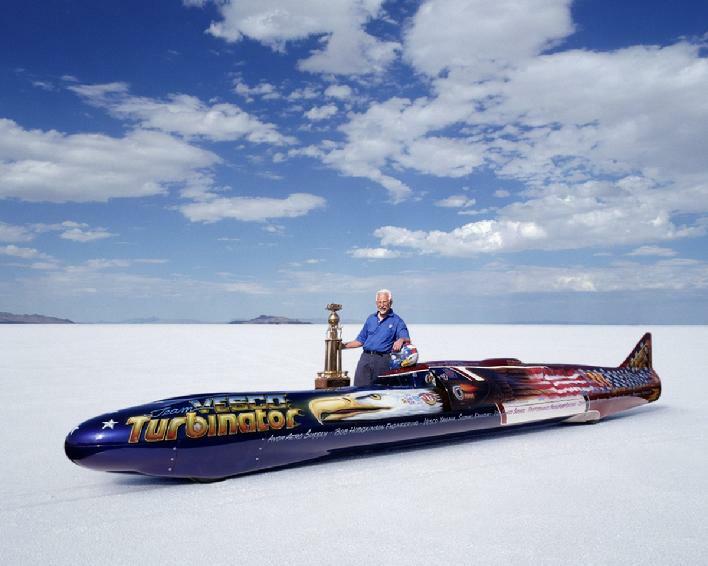 Driving Turbinator with one eye was just another obstacle for Don to overcome, which makes those 400mph (643.74kph) plus runs all that more remarkable. 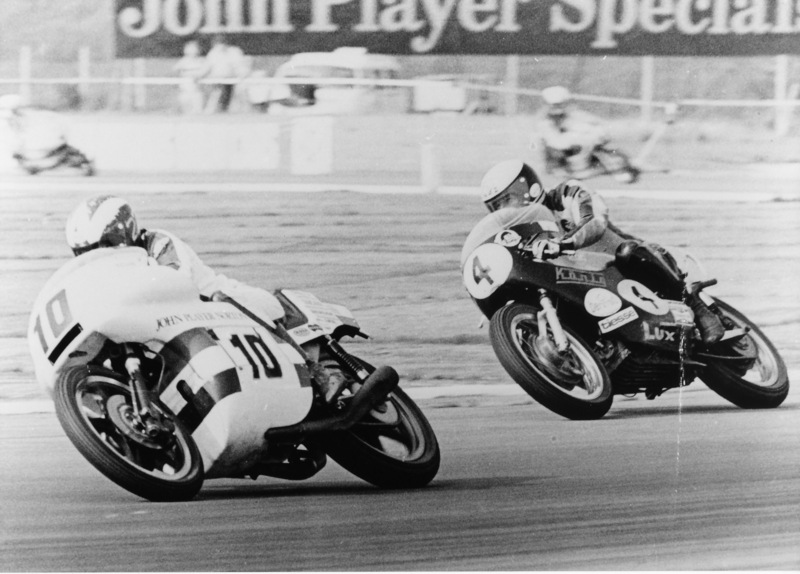 It didn’t deter Vesco from competing at Daytona in the BMW legends series, riding an R1100RS as fast as ever, and he continued to compete in AHRMA events on one of Team Obsolete’s Manx Nortons. Unfortunately, there was one final obstacle Don was unable to overcome before he could achieve his dream of 500mph (804.67kph). He was diagnosed with prostate cancer and succumbed to the illness on the 16th of December 2002 aged 63. Vesco was inducted posthumously into the Motorsports Hall of Fame of America in 2004. Today, after 13 years, Don’s record still stands, but Team Vesco will continue to work towards that dream of 500mph (804.67kph) and will be back at Bonneville with an upgraded and improved Turbinator 11. Don Vesco, factory motorcycle racer, team owner, engine tuner, designer, Land Speed Record Breaker. Speed King. Words Geoff Dawes (C) 2013. 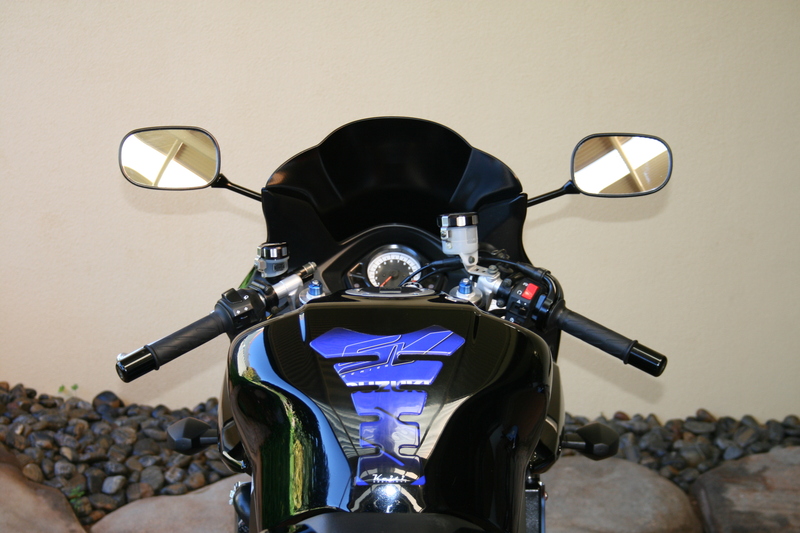 Images http://www.bluebird-electric.com, http://www.bikernet.com, http://www.gregwapling.com, http://www.forumboxerworks.com, http://www.yamahapart.com, http://www.eliteday.com, http://www.global.yamaha-motor.com and http://www.croinfo.net. 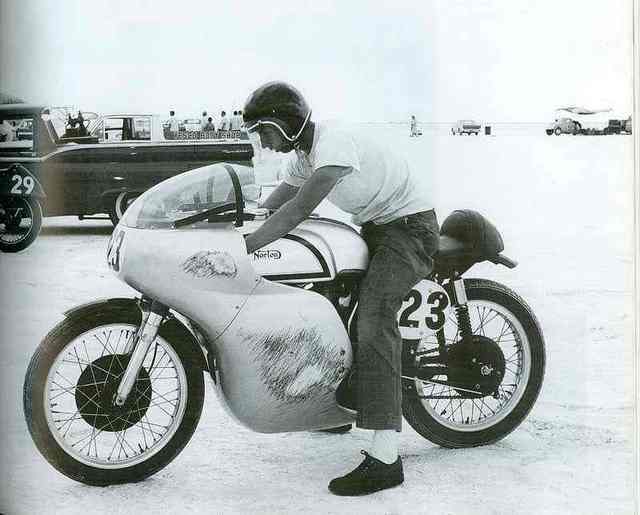 This entry was posted in Motorcycling, Motoring and tagged Bonneville Salt Flats, Cal Rayborn, Don Vesco, Donald Campbell, Grand Prix motorcycle racing, Kunimitsu Takahashi, Land Speed Record, Manx Norton, Sky Tracker, Team Vesco, United States, World Land Speed record, world record, Yamaha on 30/11/2013 by Geoff Dawes. 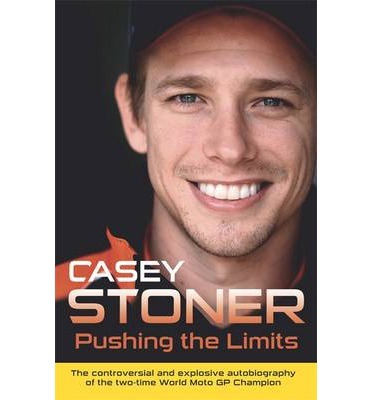 For a large number of MotoGP followers, and in particular fans of Casey Stoner, his new autobiography (with Matthew Roberts), “Casey Stoner Pushing The Limits” subtitled ‘The controversial and explosive autobiography of a two-time World Moto GP Champion” holds very few surprises. Many of the events in Stoner’s career and early life have already been well documented in the media. But the book draws all the elements of Casey’s life together in a single volume that gives him the freedom to set the record straight after years muted media statements often due to the politics and pressure of the MotoGP paddock. Stoner does not like being in the public spotlight and has found it difficult to fit the “Superstar” persona that the commercialised sports owners, Dorna, and the ensuing and often frenzied media pack try to demand. However, the greatest revelation, I personally found, was his reasons for leaving Australia to compete overseas. Although forced upon him, it was this decision that set Casey and his parents on the long and hard road to success. “Casey Stoner Pushing The Limits” is well worth reading if you have little or no knowledge of this great Champions career. For those who follow the sport, or are a Stoner fan, it will clear the muddied waters of MotoGP politics, revealing how incredibly special the talent of Casey Stoner is. Highly recommended. Available from the Book Depository in hardback or paperback. Words Geoff Dawes (C) 2013. This entry was posted in Books, Motorcycling and tagged Australia, Casey Stoner, Dorna, Grand Prix motorcycle racing, Matthew Roberts on 19/11/2013 by Geoff Dawes.